MERRY FISHER 895 MARLIN : BIG ADVENTURES AWAIT! 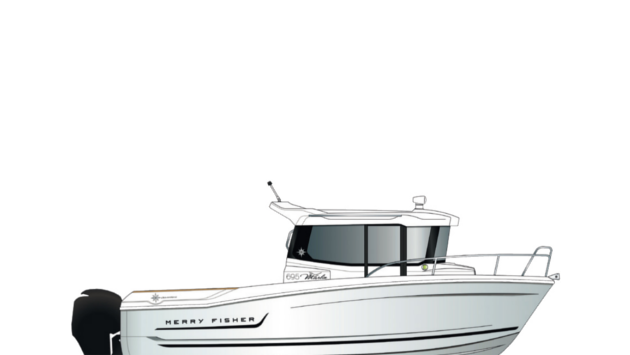 Jeanneau releases its new MERRY FISHER MARLIN : Versatility for all Adventures! 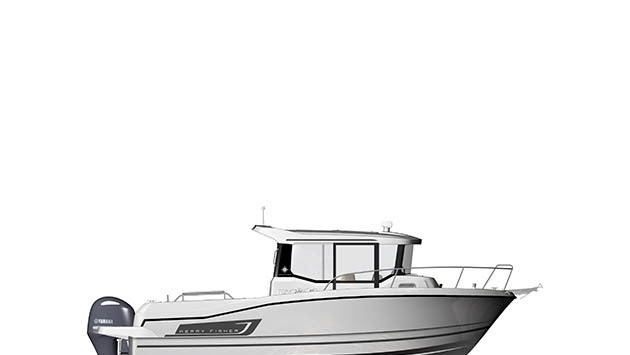 Jeanneau will debut for the first time ever the new MERRY FISHER 895 MARLIN at the upcoming Paris Boat Show in December. With her contemporary design and distinctive personality, the new Merry Fisher 895 Marlin is ideal for taking on an adventure! From fishing with friends in a quiet creek to exploring new coves with the kayaks onboard, the possibilities are endless ! With her clever combination of design features for security, ergonomics and true comfort on board, both on the exterior and the interior, this MERRY FISHER 895 MARLIN meets the most demanding criteria. The 28-foot V-shaped hull was designed to be stable and fast. A true SUV of the seas, this new crossover features an innovative layout on board. Forward, the MERRY FISHER 895 MARLIN has an L-shaped saloon seating accessed by secured recessed sidedecks on the starboard side. There is easy access to the anchor and anchor locker. 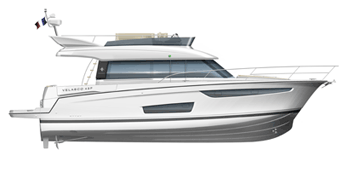 Key features of this new model include side door access from the helm station to the starboard sidedeck. There is a side access gate for safe boarding. The flush aft swim platforms are easily accessible. The sliding aft bench seat with a high back can move forward allowing for the engines to be raised. The entire interior has been re-imagined on the MERRY FISHER 895 MARLIN! The salon has a large opening sunroof allowing for lots of natural light. The galley offers lots of storage compartments while the salon table is convertible into another berth for guests. The bench seating at the salon table can be adjusted to face forward while underway. Down below, the MERRY FISHER 895 MARLIN has two double cabins and a separate shower and head compartment. The MERRY FISHER 895 MARLIN is versatile and is ready for an adventure!